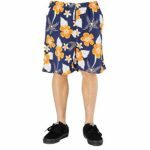 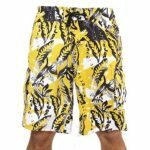 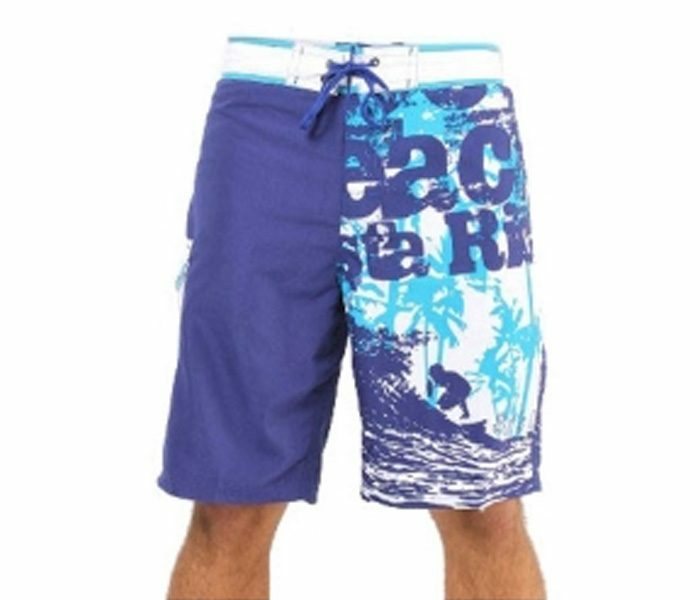 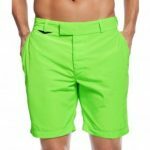 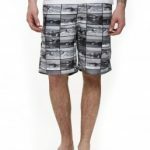 The high fashion collection of beachwear like the Offshore Fashions Beach Shorts comes with an interesting half and half color combo with the blue color base being played up with distinctive appeal. 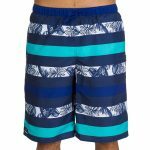 The superior designer look brought in with the indigo blue block hued panel on one side and an entirely floral printed panel going in white and blue on the other side add tremendous attitude. 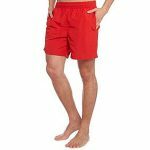 The holistic cool appeal taped in with perfect line and length, superior fabric and broad waistband seals in the hot shot designer appeal.